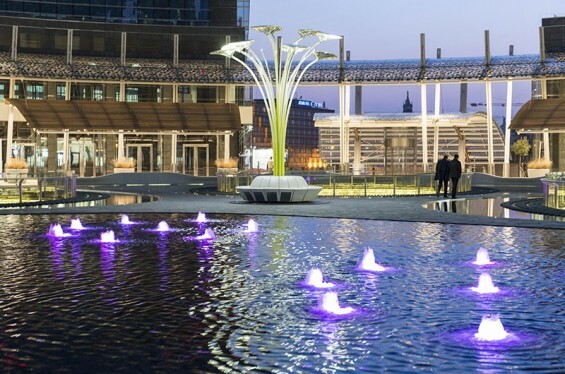 A new piazza in the heart of Milan named after Gae Aulenti, the late Italian architect of the Musée d’Orsay in Paris, and sits at the heart of the Porta Nuova Garibaldi development adjacent to Milan’s main train station. AECOM, winning the project as EDAW, architect César Pelli and Italian landscape designers Land have together provided a stunning new gateway to one of Europe’s most stylish cities. 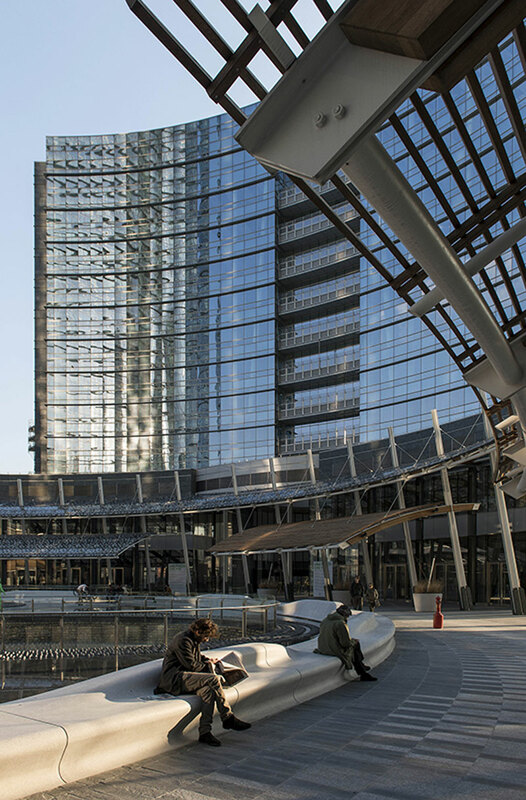 Linked to Milan’s main public transport hub (Garibaldi Railway station), the square is a key part of one of Italy’s largest regeneration projects. 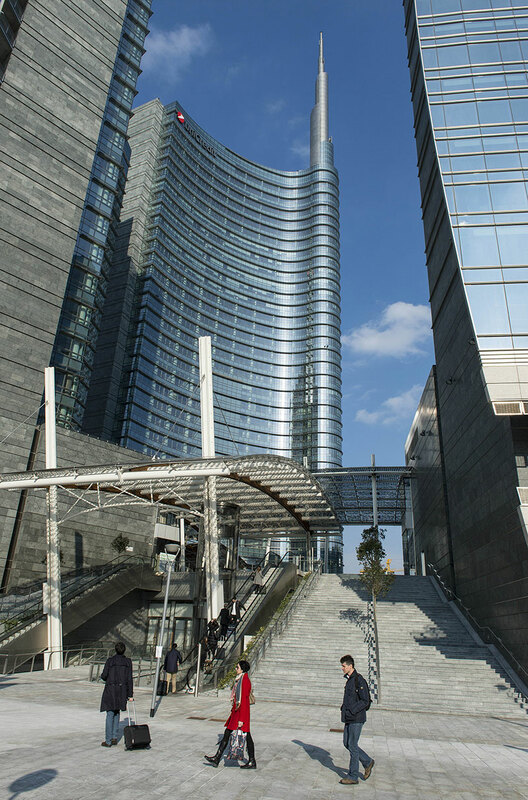 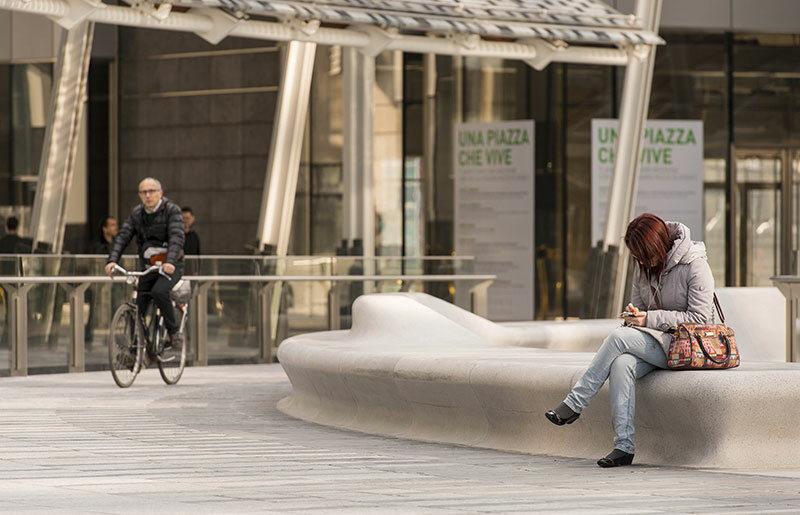 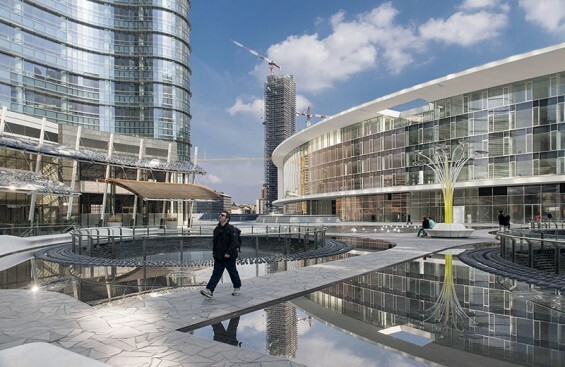 As lead designer for the Porta Nuova public realm design, AECOM’s work includes the main public space, the Gae Aulenti Piazza Circolare, walkways and connections to the neighboring park. 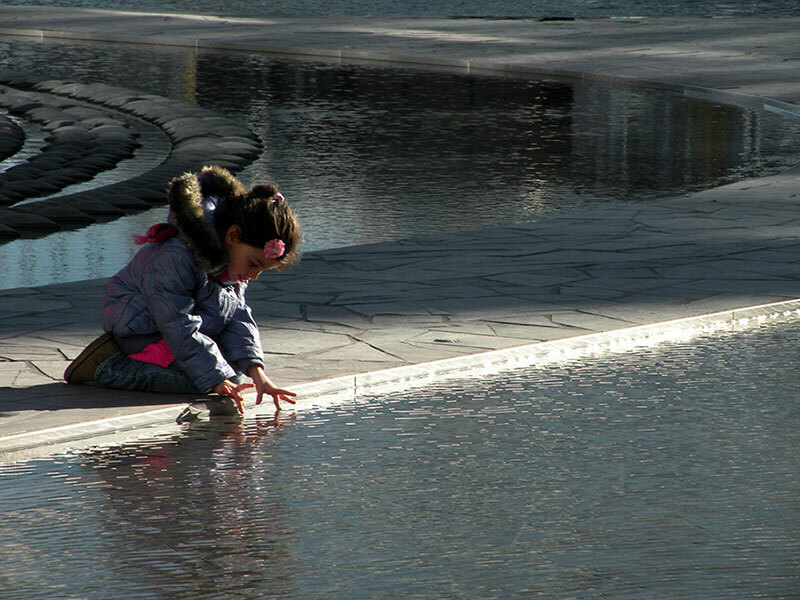 Strategic guidelines for the public space were established by Gehl Architects. 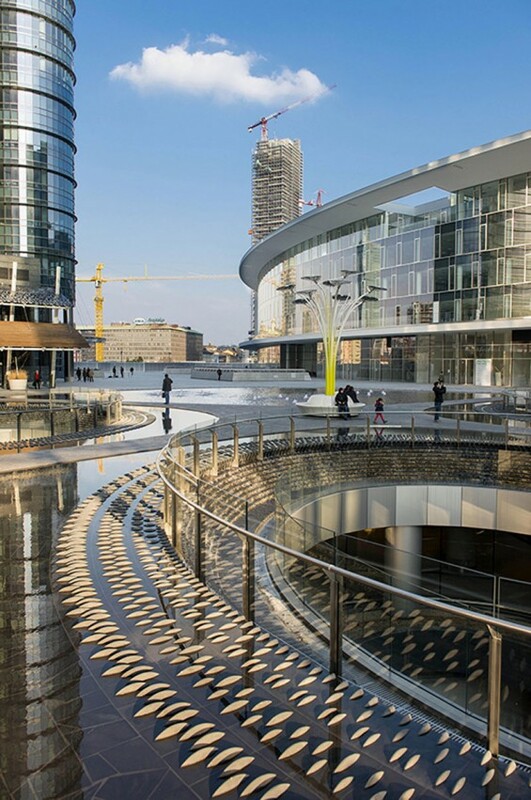 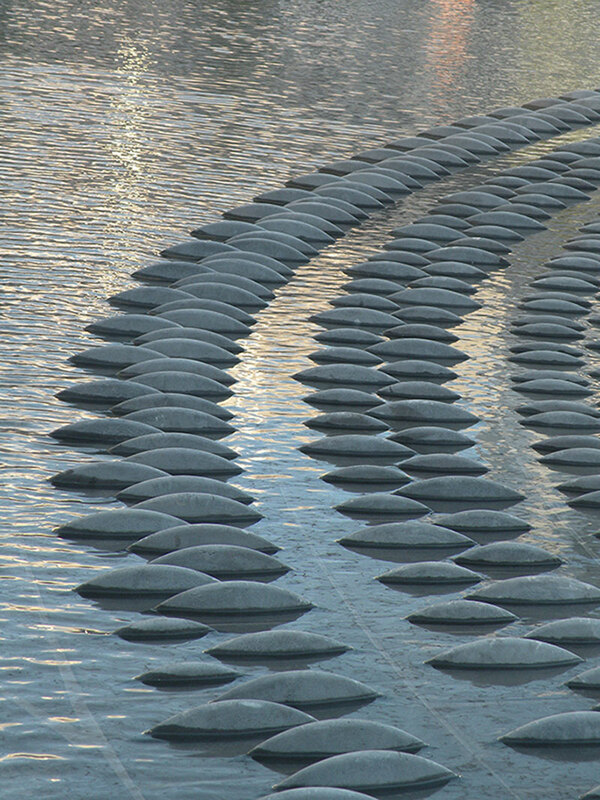 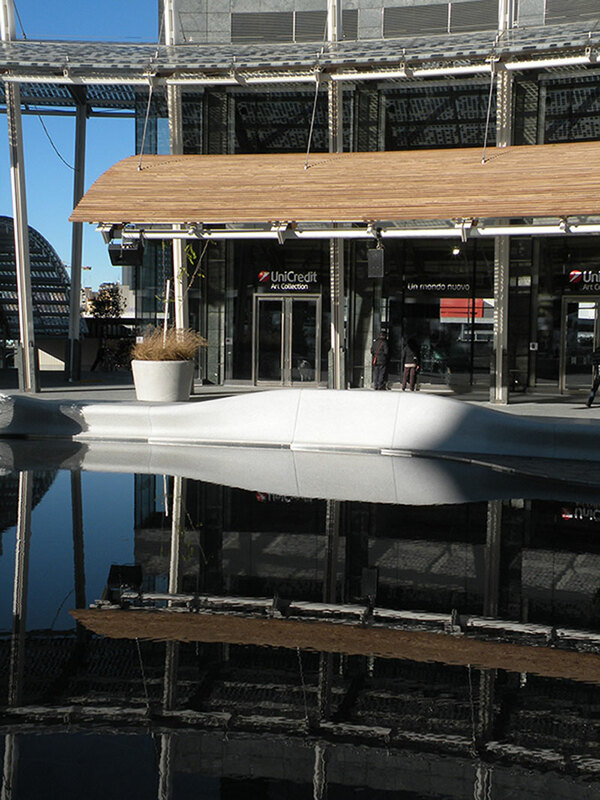 The Gae Aulenti Piazza is a stylish and beautiful space with sculptural features including a continuous flowing circle of seating surrounding a vast reflecting pool, 60 metres in diameter that reflects the colours of the changing seasons and surrounding buildings. The pool cascades down two floors, the sound of which mitigates the noise pollution of surrounding roads, and creating three beautiful oval cascades that bring daylight and natural ventilation to spaces below. 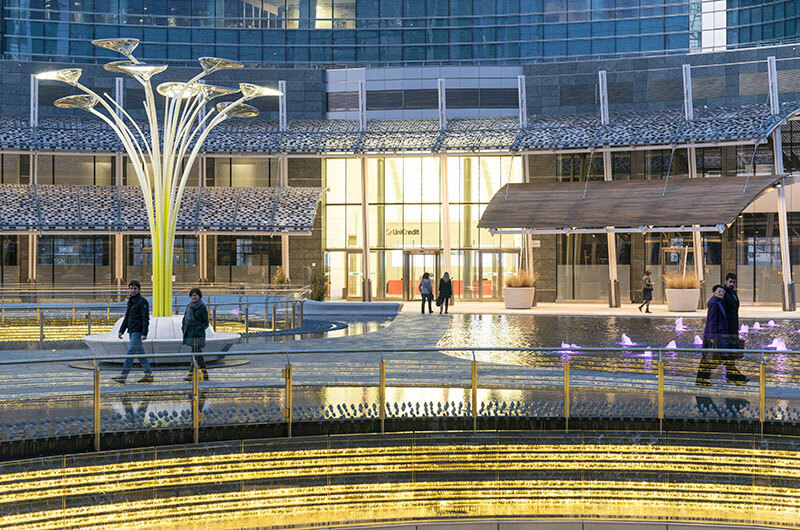 The light wells that it creates connect the square with the retail floor and car parking below,whilst also allowing light and air to penetrate the surrounding towers’ deep footprints. Italian newspapers Libero and Il Giornale described this spectacular public space as “the square of the future”, with Corriere della Sera reporting that thousands of people have visited in just three days following the grand opening. The result is a beautifully crafted, fitting contemporary to Italy’s grand tradition of elegant Piazzas.